I also got this knife as a birthday present, it is a small-almost a gentleman’s knife size knife. It is designed by Todd Rexford, a custom knifemaker, and manufactured by kershaw. Kershaw is a brand from KAI, a Japanese company specialize in cutting tools, from knives, scissors, even shaving razors. This is an assisted opening knife, meaning there is a spring mechanism in the pivot that will help you to flip the blade fast and hard with a simple finger push to the flipper. it is a frame lock knife with a stainless steel handle which is quite sturdy and feels really nice in hand. The blade is 8cr13mov, which is a chinese steel. many people don’t like chinese steel but in my opinion, 8cr13mov is more than enough for everyday cutting tasks. it is easy to sharpen, it can hold it’s edge for quite some time, and it’s cheap. The blade shape is a nice drop point blade with hollow grind. its thin profile and grind makes this knife a really good slicer, it is one of my sharpest knife, probably just a bit behind my custom Edelblade. the handle is an open construction, the blade centering in this knife is just a bit not center when closed, but it is centered when opened, this centering problem does not affect its performance at all. the deep pocket clip are reversible and people will not notice your knife in your pocket because this pocket clip simply sits deep into your pocket. Overall, this knife is really recommended, it is sharp, small, beautiful, sturdy, and ergonomically good. Todd Rexford and Kershaw have done a good job on this knife. Bastinelli Diagnostic is a small knife made by a french knifemaker Bastien Coves and made by Fox Knives in Italy. The karambit shape of the blade shows that it’s a knife meant for self defense. you can do 2 types of grips with this knife, a normal grip, where the blade sits next to your index finger and your middle finger goes into the ring, and the reverse grip, where your ring finger goes into the ring and your pinky sits next to the blade. for me, I feel more comfortable with the normal grip as i can hold it stronger than the reverse grip. with the chisel grind and karambit blade, it is not a very good paper slicer if you slice from the middle of the blade, but once you use the point to the blade, it can easily puncture and slice through a paper, cardboard, or throat. as far as the material goes, the N690C steel is nice and have a good edge retention. it is said to be a similar steel to VG10, which is still a premium steel. the Chromium content is 16-17,3 which makes this steel is pretty resistant to rust. Overall, this is a great little self defense knife that you can easily hang on your neck and forget about it because it is so light. the sheath is a good kydex with good retention. with the small size of this knife, you can unsheath it and hold it in your hand without no one will ever notice. so far I’m really satisfied with this knife as a self defense knife. it is very sharp right out of the box, and its small size makes this knife a very lethal knife if unnoticed. Hi there! been a while since the last update as always. As you know i have been collecting knive since a while ago and i was pretty absorbed by this knife thing and read some articles and reviews about knives. So, today i’m gonna review some of my new knives that i got as a present from my girlfriend (how cool is that?!) last year. Designed by custom knife maker Alan Folts, this is a small little fix blade that you can carry anywhere and will still left some space in your pocket. The steel on this knife is 5cr15mov, hardness is at 57HRC if i’m not mistaken, full tang, bead blasted finish on the blade, and micarta handle that you can remove. comes with a glass filled nylon sheath which is similar to kydex, and this version is the tanto version, and it has a recurved blade. this knife also comes in wharncliffe, bowie, karambit, and spear point. The steel on this knife is a little bit on the soft side and it doesn’t have a fancy steel like its custom (cpm 154), but at this price point, i think it was a really good deal. So i have spent several weeks hanging around with this knife and use it on everyday normal tasks like cutting paper, boxes, and small branches and it did pretty well, the knife was quite sharp from the factory and cut well. I usually put the knife in my pocket, but you can also use the provided belt loop and put it on your belt. The knife was designed by Terry Renner, steel was 8cr14mov and hardness is at 58-59HRC, also a tanto style tip, this is a flipper only, you don’t have any thumb stud here and it features a liner lock with stainless steel handle. It has IKBS ball bearing system in the pivot so opening the knife is silky smooth, a little bit heavier than average folder, but feel robust and nice in the hand. this knife has quite mixed reviews from many people because of the eccentric design, but i like it. it was nice in the hand, you got that finger choil and the shape of the blade allows your thumb to rest on top of the blade for more control. it was very very sharp out of the box, and still stays sharp until now, i think the steel is better than the minimalist and the usual 8cr13mov. Many reviewer said that it is not a good slicer because of the low grind, but from my experience, i never had any problem cutting anything with it. and it looks good on display. I will also review my other knives later! This post was late for 3 days, but last weekend there was something special happened in Jakarta, it was the Indonesia Comic-con 2015! it was the same comic con with the one held in the USA. how awesome is that? and of course there were tons of awesome line up of artists and talents! see the guy in the middle of the first row? that kenji oh*some*ba the Space Sheriff Gaban!!! and also the suit actor of the first Kamen rider and red ranger. damn man! and there was also re-on booth. this time re-on collaborated with a duo from Japan called faint star to be featured as a special comic in the next re-on. oh yeah, here are some videos!! at last! after i-don’t-know-for-how-long I’ve been absent from this blog activity, there are too damn many events in my town lately and that makes me lazy to update, but this one is special, because it’s time for AFAID2015! along with the regular cosplayer like yingtze, pinky, and richfield, this year they bring along a new “big” one who once nominated as the most beautiful girl in akihabara, otogi nekomu san. damn! too bad i didn’t get the chance to take photo together with her. 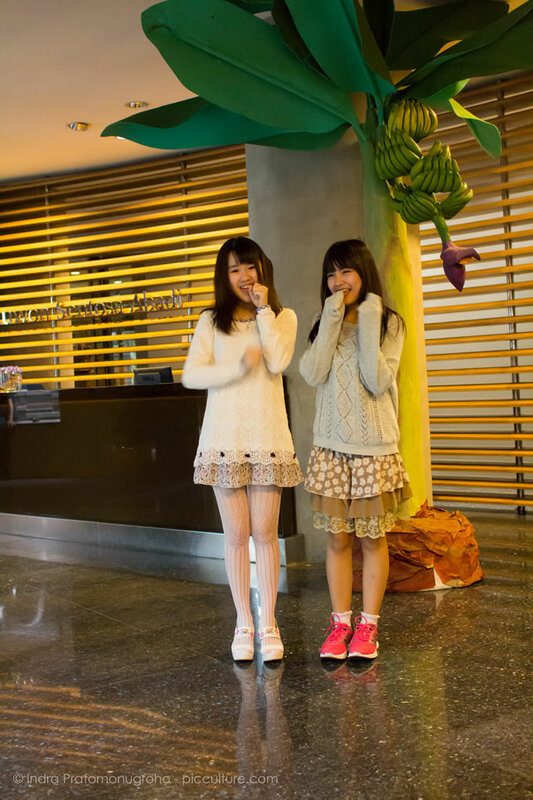 at reon booth, this year only edelyn and jeanice who are participate because the rest are at the maid cafe. managed to take photo with reon on sunday. pardon my face lol. as usual, reon booth is one of the largest booth there, and always crowded full of hungry zombies attracted by the sweet pheromones of the ladies at reon booth. i will update more reon photos later, as they are in my camera. and then there are pink babies. these cute underage idols are the perfect jailbaits for the pedobears lurking at afaid. i don’t really know about pink babies, but i got some clear shots since i got in the front row. and there is hiroaki kato, he is a japanese singer who can speak indonesian very fluently, and he can sing indonesian songs very well. and at pony canyon booth, they’re promoting this new singer called michi, who sang the theme songs of obe anime called rokka no yusha. will upload moar photos later! 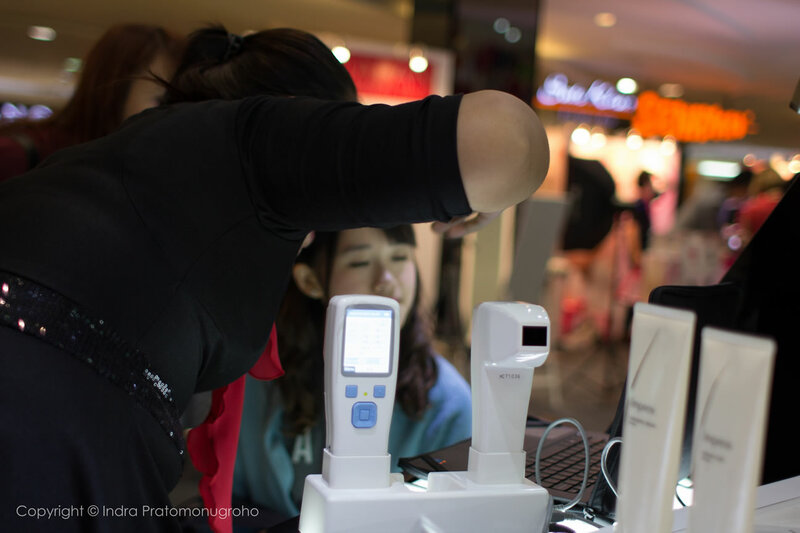 So after struggling with flood that literally made every inch of Jakarta wet for the past 2 days, I finally have a chance to update this blog for Japan Beauty Week which was held last weekend at FX mall Jakarta. This event was full of expensive cosmetics and pretty girls. Olive des Olive showcased their clothing as well. I don’t know, but they don’t seem to have any intention to sell their clothes. lol. 2014 has been great and we will soon entering 2015, does everyone have new year resolution already? 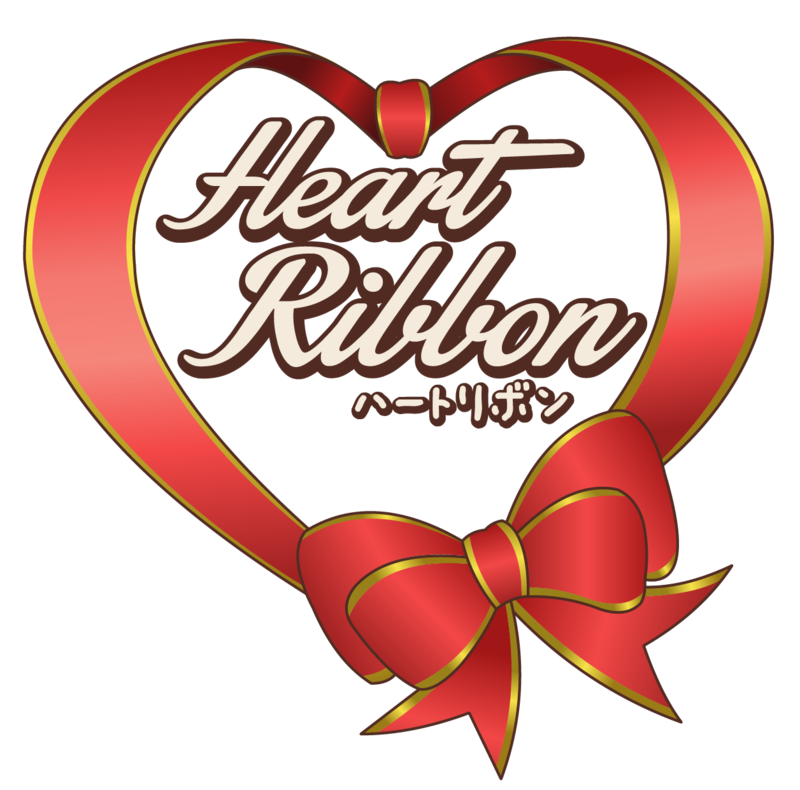 well, in the end of 2014, I got a little surprise because picculture, ehm, this blog, has been chosen as official media partner of Heart Ribbon. yaaay~! Heart Ribbon is a new group consisting of Franzeska Edelyn and Donna Visca. They have just debuted last two weeks ago and have been actively performing in several events in Indonesia.